Sunny and 65 degrees in January is a recipe for yard work! First thing I did this morning was head out in the truck and go get a load of "Compost Blend Garden Soil" from my supplier. 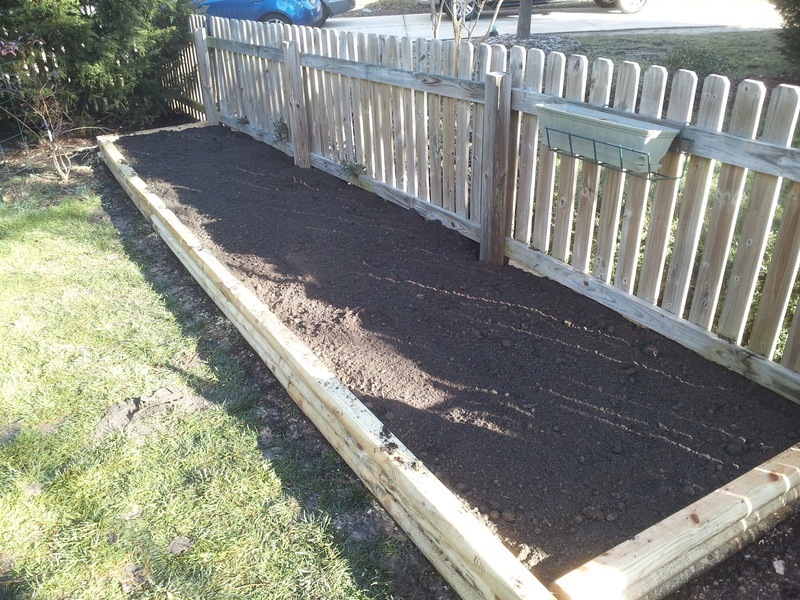 I needed this to complete my new raised bed garden (which I actually finished last night with some rebar stakes and some screws. Unfortunately, I dramatically overestimated the amount of soil I would need to finish it up, and it only took 3 or 4 wheelbarrow loads! The picture to the right is the finished product. 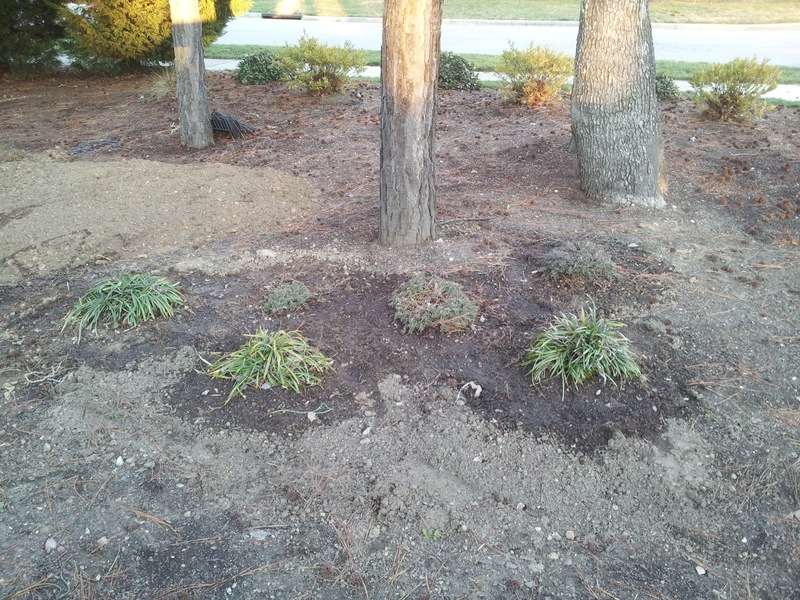 Creeping Phlox and ornamental grasses moved from the sidewalk area. 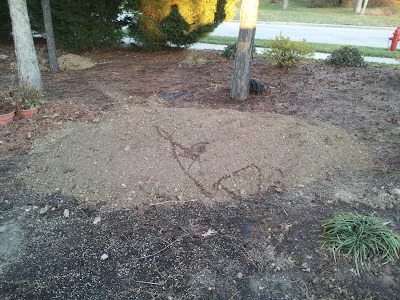 New mound of dirt to contain...? In the sidewalk area we are going to plant a 5' tall Catawba, which is a beautiful purple, and it should enjoy the hot sun. My man Russ will be taking care of that in a couple of weeks. We're going to sod the rest with a nice warm season southern grass like bermuda - something that will require a lot less water and won't mind the summer heat. 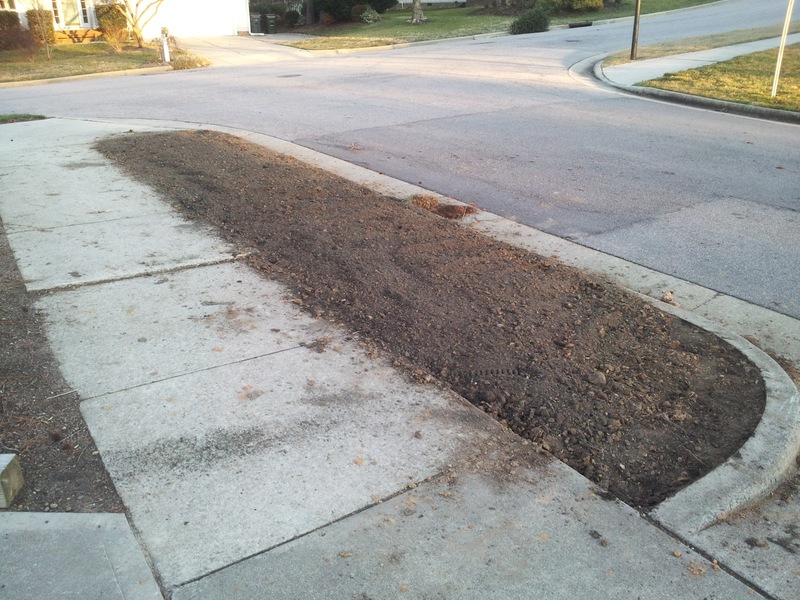 The amended soil should help a lot too. Of course we can't lay down bermuda until mid-April at the earliest, so I guess this area is going to sit empty for 3 months. That's what I get for getting overzealous! I might actually keep a strip in the middle and plant perrenial evergreen herbs - rosemary, oregano, thyme, etc. So, now I just need it to be spring. And my arms are sore. Rosemary survives with little water vey well and you can just about ignore it except in a very heavy drought. My rosemary has been thriving for about 10 years now in front of my house.